Inside: Learn how to teach children about winter holidays around the world in your classroom or homeschool! It’s the season for winter holidays, but it’s not just about Christmas. You have many students from different backgrounds and cultures in your classroom. In fact, it’s possible that you may not be aware of what winter holidays some of your students celebrate. That’s why it’s so important to be inclusive when celebrating winter holidays around the world in your classroom. In fact, allowing your students to explore and research different cultures not only helps develop their research and writing skills, it also gives them a greater appreciation for different cultures. 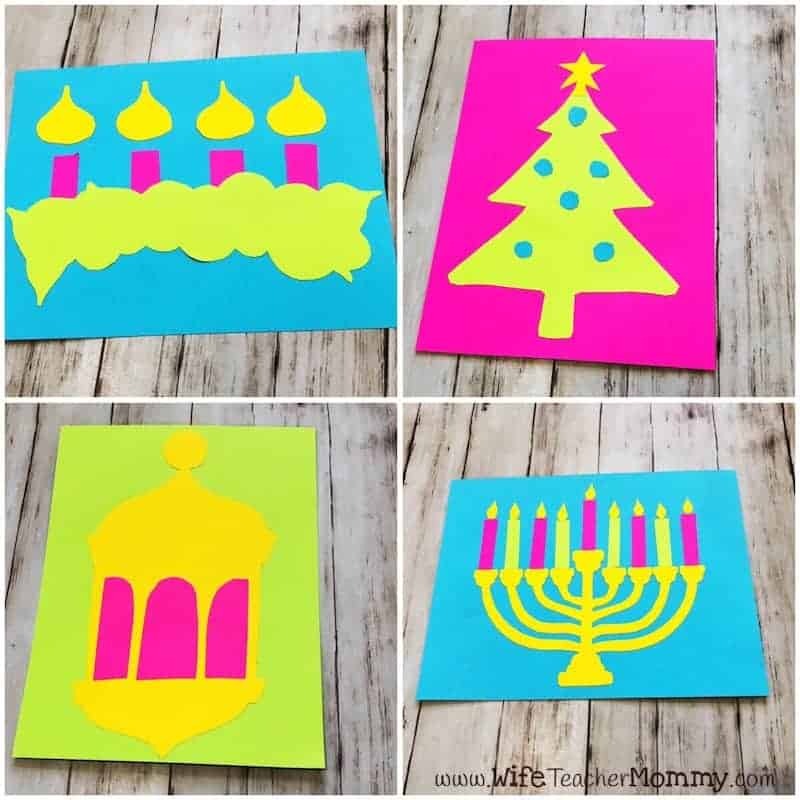 And last, but certainly not least, it is a great way to integrate holiday and seasonal themes into your classroom, while still learning. 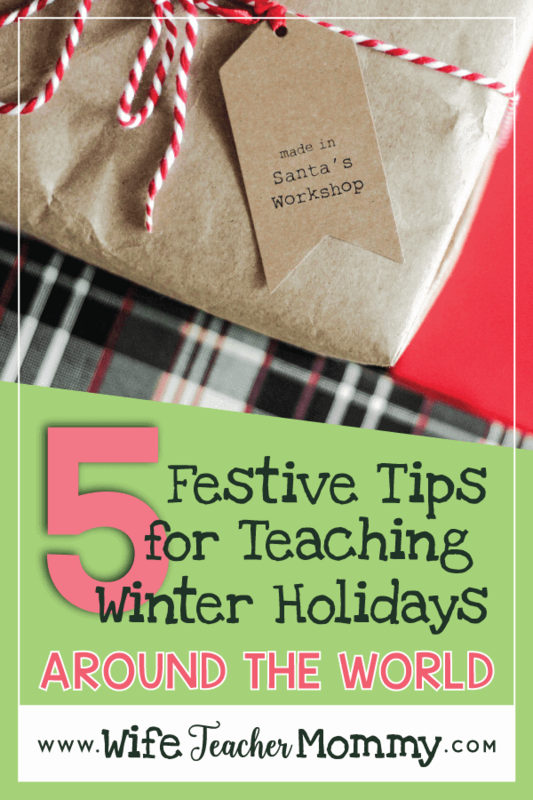 Here’s my 5 tips for teaching winter holidays around the world! 1. Preview holidays before research begins. Activate background knowledge and introduce content specific vocabulary for each of the winter holidays that the class will be researching. 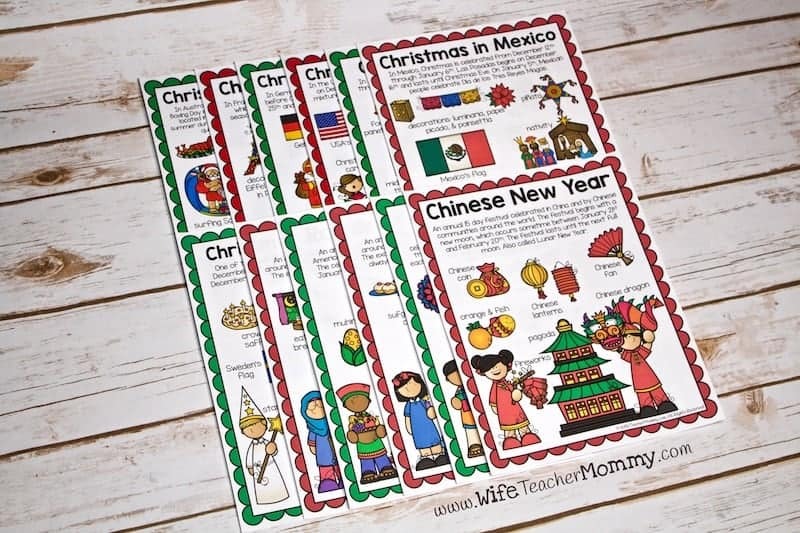 My Winter Holidays Around the World Unit makes this easy with 12 colorful holiday information sheets about the different holidays your students will research. See what your kids know and allow them to research a holiday individually or in small groups that they are not as familiar with. 2. Use this opportunity to teach research skills. 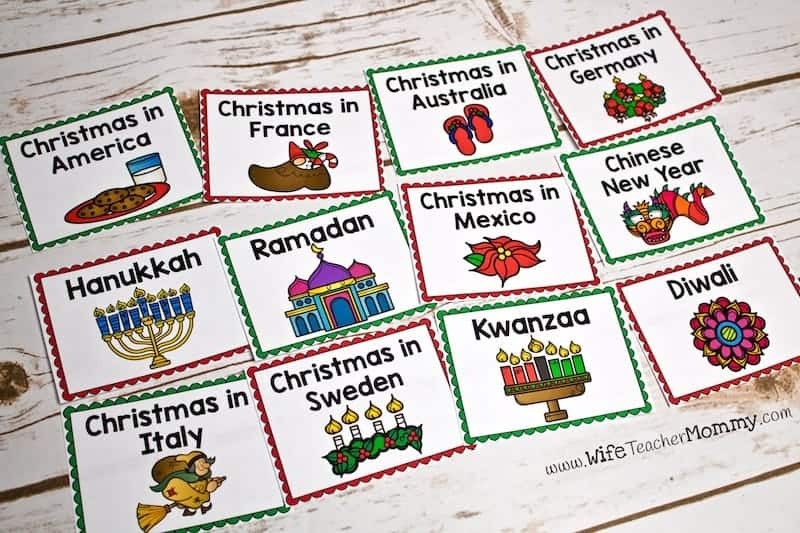 Your students will be so excited to learn about a winter holiday from a different country or religion. They’ll probably want to go straight to the internet and scour websites. First, teach them the research skills necessary to find credible sources, search using keywords, and take notes. Practice with questions unrelated to the project in order to find searchable keywords for given questions. Talk about how to know if a source is credible, especially online. Look for factual, current information without grammatical and spelling errors and advertisements. 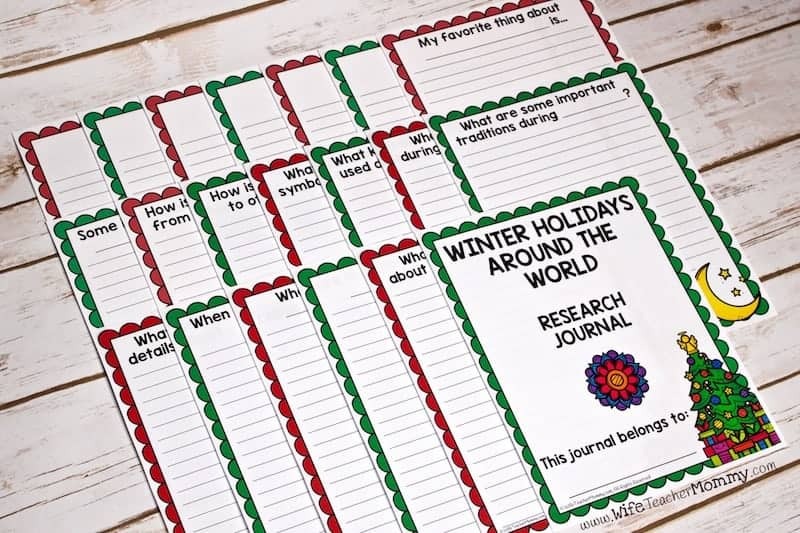 In my Winter Holidays Around the World Unit, you’ll get everything you need to teach your students about research skills as well as a list of websites for each of the winter holidays. 3. Assign each student a winter holiday to focus on. Your students should have a chance to learn about a variety of different holidays and celebrations. Chinese New Year, Diwali (Hindu winter celebration), Hanukkah, Kwanzaa, Ramadan, and Christmas in Sweden, Mexico, Italy, America, Germany, France, and Australia are all celebrations that encompass many cultures of students in your classroom and around the world.Be open to other winter celebrations celebrated by your students and their families as well. Editable cards are added to include any additional holidays! 4. Have students research their Christmas and other winter holidays from ALL around the world. 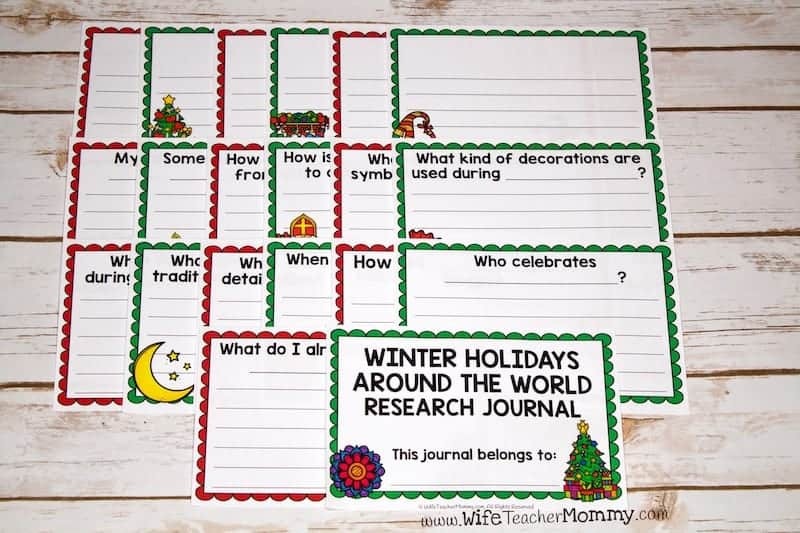 The Winter Holidays Around the World Unit has complete materials to research and report on all of these winter holidays. There are 2 versions of the research journal included. You can choose half page or full page! 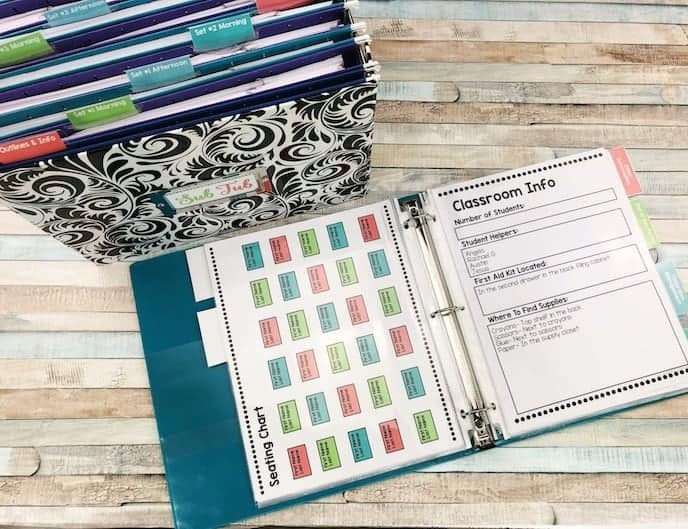 Each page contains a question for the students to focus on. When I do these units, I like to have the students focus on one question each day. It makes it much easier for the kids to make sure they are finding a good variety of information as they research. However, if they find something else interesting on a research day, they can still go ahead and jot it into the appropriate page. Many pre-written pages are included in these journals! In addition to all the included pages, EDITABLE pages are included for you to add your own questions. 5. Have a winter holidays around the world fair. 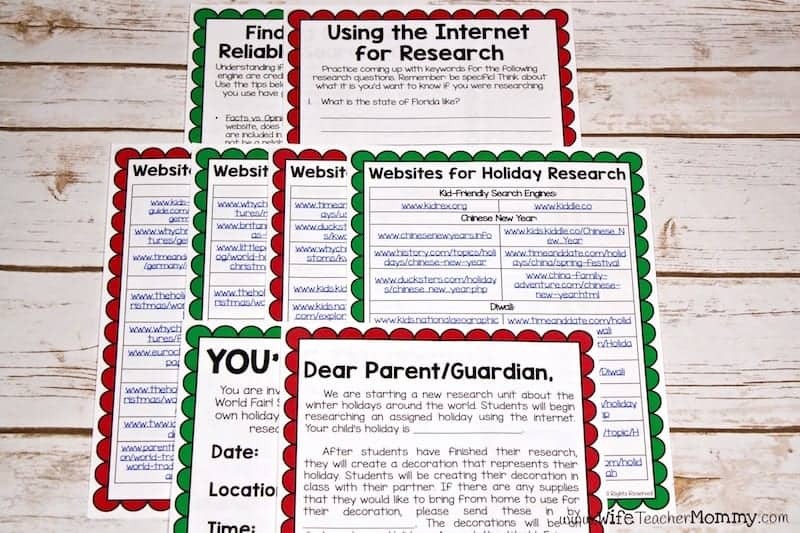 Have your students research and present their holidays in small groups or as individuals in a culminating holiday fair. 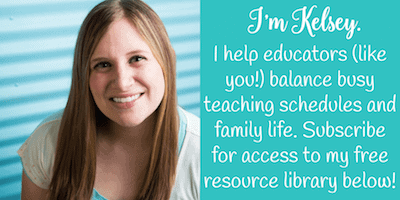 Invite parents with premade invitations. Include other classes. 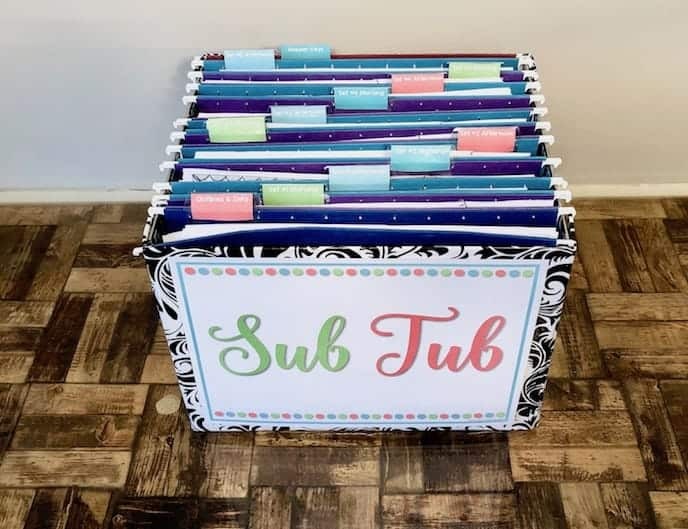 Younger classes are perfect attendees as they’ll get a preview of future classrooms, or you may want to invite older students back that may serve as buddies to your class. Your administrators will love seeing what your students are doing in class as well. In addition to presenting their research and reports, have your students create a decoration that represents their holiday. Have snacks available for kids and parents as they enjoy the presentations. Ask parent volunteers to bring different items if your classroom does not have a budget for refreshments. Celebrating winter holidays around the world in your classroom is a way to build classroom community, learn about other cultures, and develop research and writing skills. 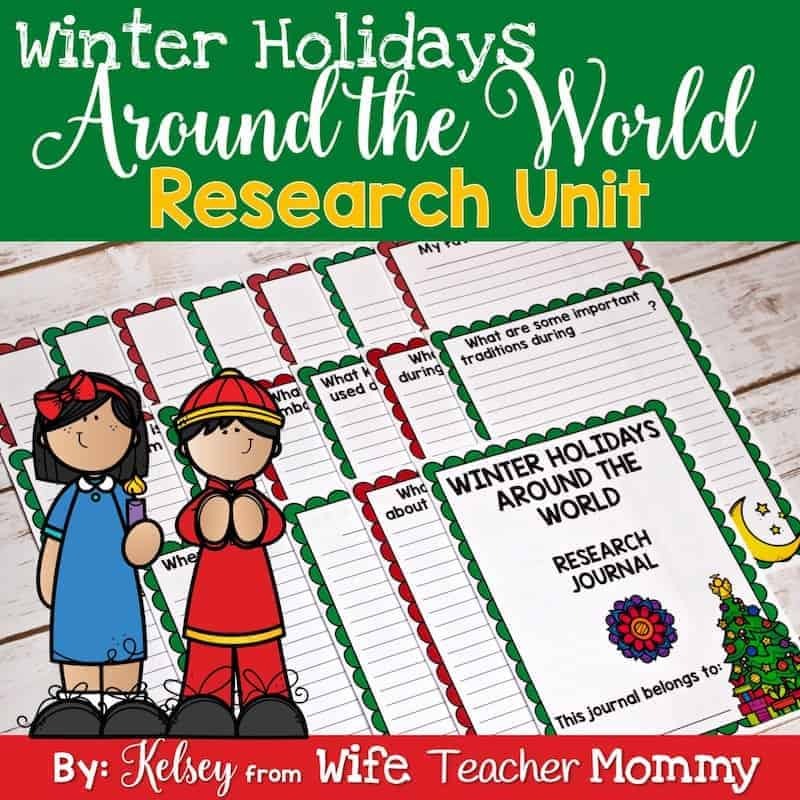 The Winter Holidays Around the World Unit is 151 pages of plans and ready-to-go sheets for your holiday unit! It is also available in my TPT store. If you love these winter holidays around the world ideas, you may also love reading about Secret Santa writing! It is another fun language arts activity for the holidays.